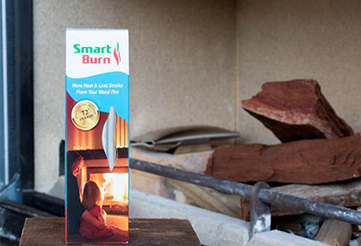 SmartBurn will self clean your chimney over time, helping you to avoid flue fires, reduce wood smoke by 52% and get 17% more heat out of your wood. Save yourself time and money with SmartBurn as your all in one chimney cleaning and smoke reduction solution. You can pick up a unit at the above local stockists.